Identify Talent. Analyze the Market. Advance Your Business. 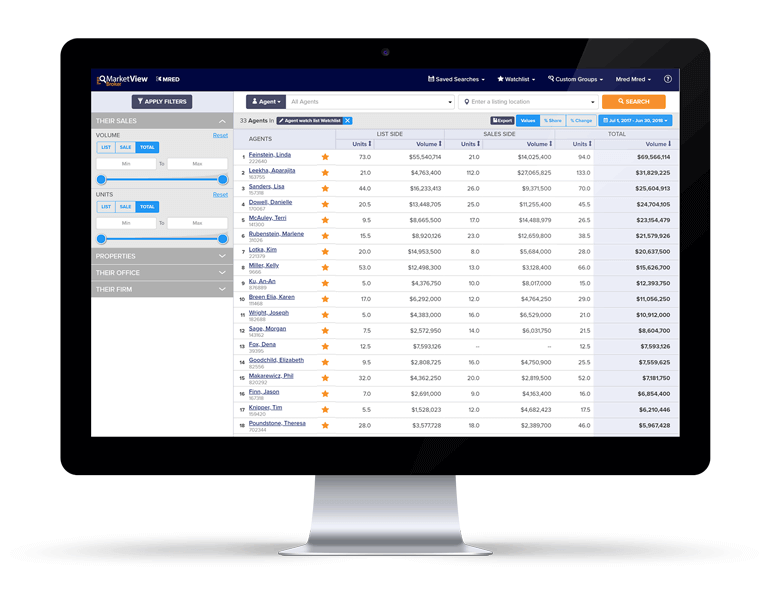 Create watch lists for potential recruits to keep tabs on their performance and be alerted to their sales activity for engagement opportunities. 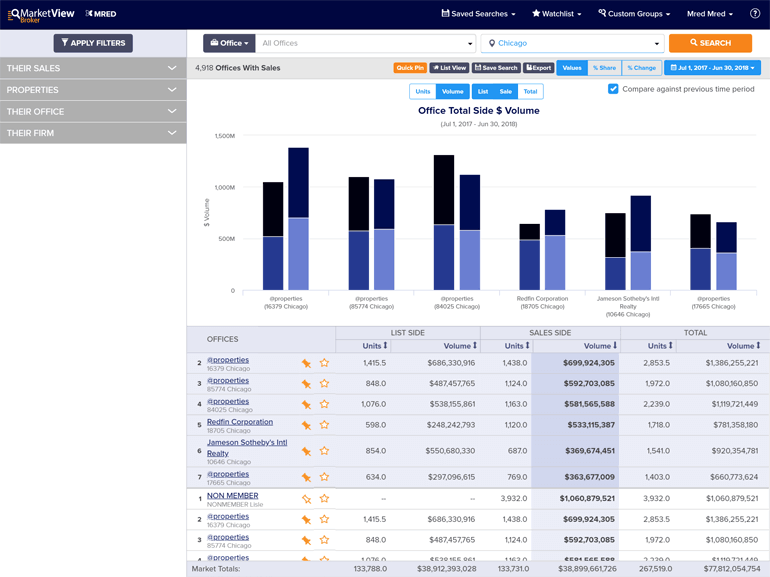 Search and compare agent, office and firms by using more than 17 different filters, including volume, units, price range, property type, sales type and more. Compare your agents or office against the competition for any location and market segment over a given time period to discover trends or areas for potential growth. 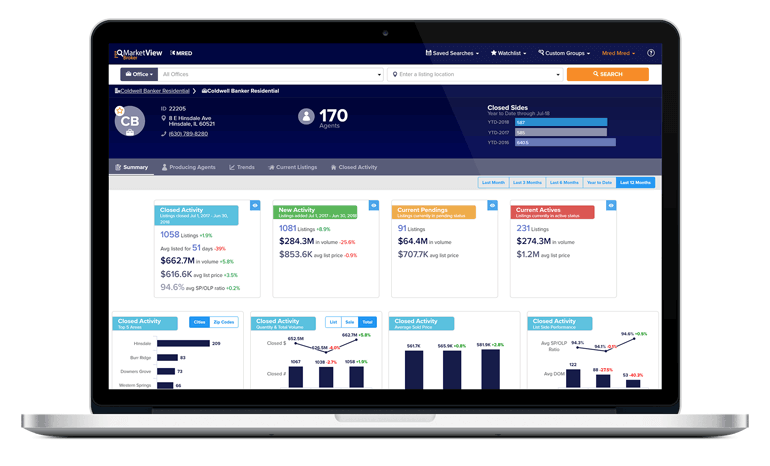 Sign Up for MarketView Broker Today!